Dayton’s Historic South Park Wins National Award! 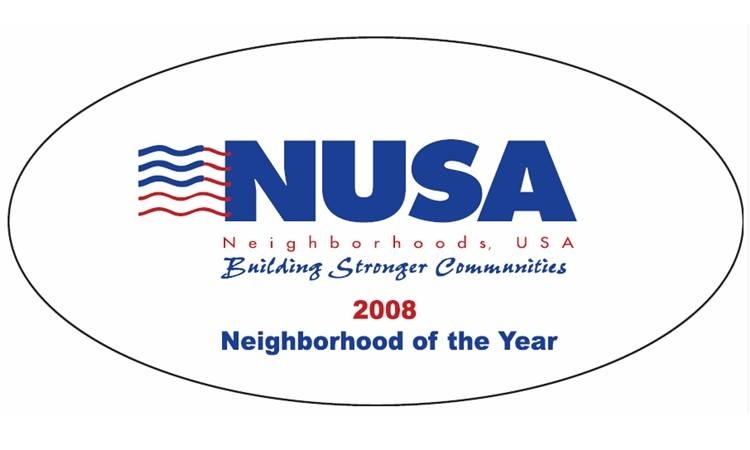 South Park is proud to be recognized by Neighborhoods, USA (www.nusa.org) as the first-prize winner for Neighborhood of the Year in the Physical Revitalization category! Historic South Park, Inc., the non-profit neighborhood association supporting revitalization of the 700-structure historic district just southeast of downtown Dayton, earned the award following a presentation on May 22, 2008, at NUSA’s national conference in Hampton , Virginia . The annual award recognizes projects that are initiated by one neighborhood organization and focused on the physical aspects of a neighborhood such as parks, green spaces, housing improvement, lighting, litter control, traffic management, signage and business district enhancement. Historic South Park was one of five finalists competing for the honor. Two major projects helped Historic South Park earn the award: the development of an ambitious neighborhood master plan in 2007 in cooperation with American Institute of Architects volunteers; and the October 2007 Rehabarama, which restored 10 historic homes for public tours and subsequent sale. South Park’s community spirit and the creativity of our residents led to this honor, said Karin Manovich , president of Historic South Park. More than 7,000 volunteer hours were dedicated to the improvement of South Park in 2007!